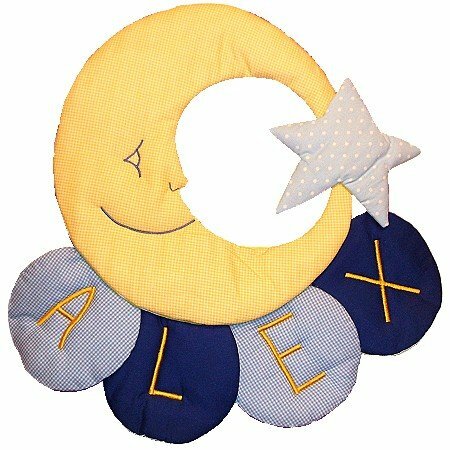 Moon and Star personalized room decor! Send baby off to sleep with this beautiful Soft Shape! Coordinates perfectly with the pastel blue and yellow stars and moon themes. Also available in pinks. Moon is approx. 18 in. (diameter).